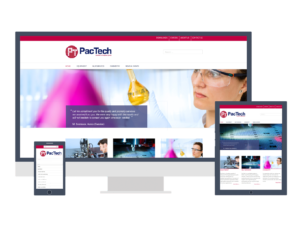 PacTech – Packaging Technologies GmbH is a world leading provider of advanced wafer bumping, packaging and solder ball placement equipment. As an innovator in the area of Laser Assisted Solder-Jetting process and chip bonding, PacTech also provides state-of-the-art worldwide contract services for low-cost wafer level bumping and packaging at competitive prices and highest quality. Seit 2016 unterstützt mcc die Firma Pactech bei allen Belangen rund um die Website. Neben dem Relaunch sorgt mcc auch für die Pflege und Redaktion sowohl der Inhalte auf der Website als auch im Newsletter.